Bodegas Andrés Morate is another gem among our Top 52 Spanish wineries belonging to the Designation of Origin ‘Vinos de Madrid’, the first winery within this DO having acquired the ‘Organic Certificate’ for its wines. When we first visited the winery, we were welcomed and guided by Esther Morate, oenologist and second generation of the family who explained the organic techniques they use in the vineyard for a healthy grape-growing system. According to your availability and your preferences, we can create a wine tour specially conceived for you, departing from Madrid. 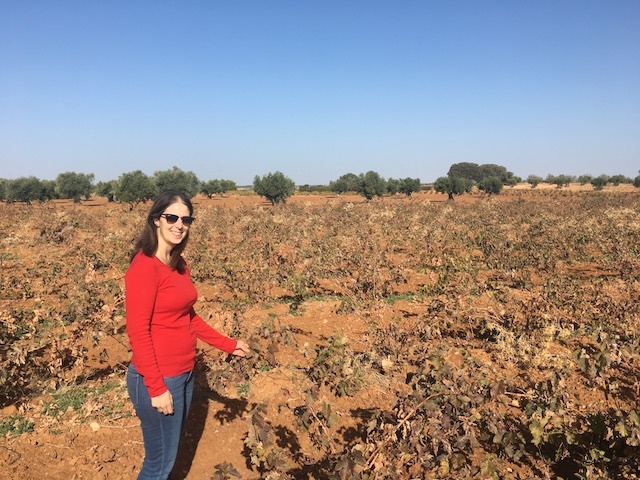 Esther, the oenologist, showing us their Tempranillo vinesThey currently grow Tempranillo, Syrah, Cabernet Sauvignon, Airén and Moscatel. Andrés Morate own several parcels of vines. The winery produces only 20,000 bottles per year using exclusively their own grapes which are entirely harvested by hand. The winery makes great quality white and red wines at a really affordable price. 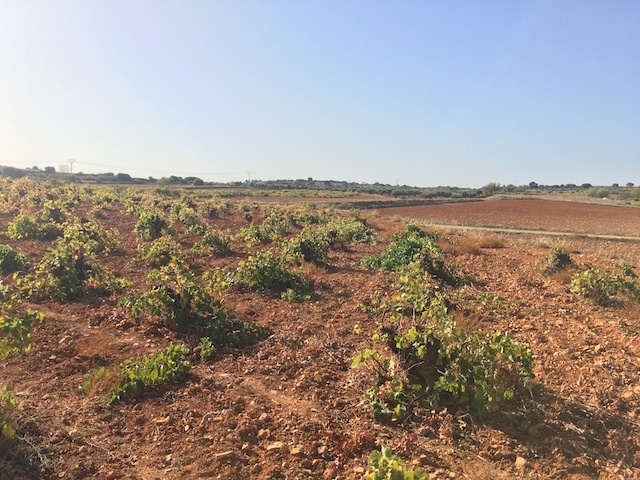 No chemicals or pesticides are used in the vineyard and vines are not irrigated, following the ‘secano’ system (dry farming) which is an extremely impressive exploit since it rains very little within the Madrid area. Thanks to the age of vines (60+ year old), roots have gone very deep into the ground benefiting of all nutrients they need to produce high-quality grapes with wonderful concentration of flavours. Take for example these very old ‘Airén’ vines belonging to the winery Andrés Morate: some of them are pre-phylloxera meaning that they are more than 100-year-old! Airén is a white grape variety giving white wines with fruity aromas of bananas, pineapple and grapefruit and is widely planted in the areas of Toledo, La Mancha and Madrid. Bodegas Andrés Morate is located only 35 minutes away from Madrid in Arganda, one of the 3 sub-regions belonging to the DO Vinos de Madrid. 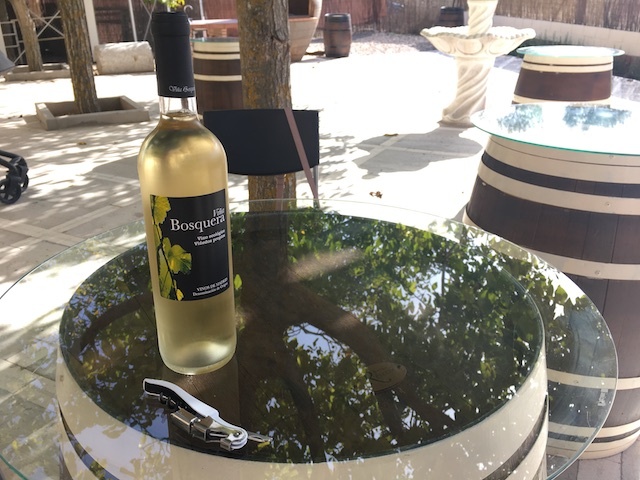 A wonderful winery to discover if you visit Madrid! 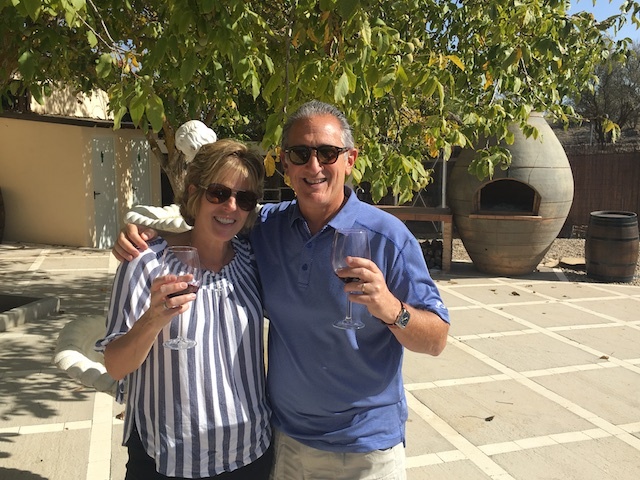 Gerry and Diane from New Jersey during our wine tour! We are reviewing 52 Spanish Wineries in 2018, 1 per week! 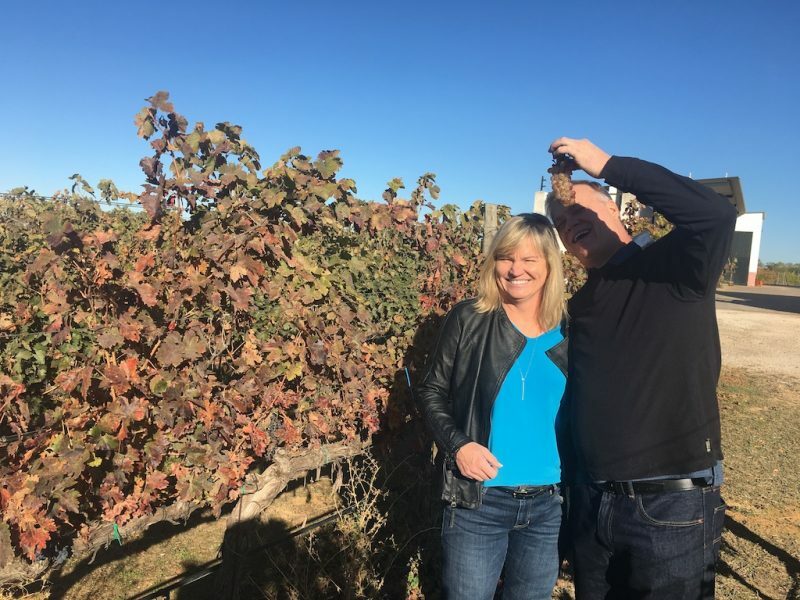 These are stunning vineyards and wineries we have been to offering a wine tourism experience worth experiencing as well as making wonderful and high-quality wines! Stay tuned and follow us on Social Media to be part of this amazing wine ride! Salud! Get up to date with latest wine articles and tour offers! Contact us! We also organise bespoke wine experiences depending on your preferences.